Two-times Le Mans-winners Mike Newton and Thomas Erdos begin their sixth season together as co-drivers by facing the challenge of another twenty-four hour marathon - next weekend's Rolex 24 Hours of Daytona. 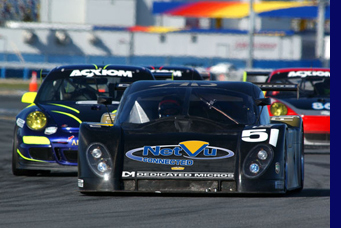 The RML AD Group racing duo will be sharing the all-new #51 Cheever Racing Coyote-Pontiac with another Le Mans winner, Briton Tom Kimber-Smith, and two American drivers; Brent Sherman and Scott Mayer. Having won the LMP2 class at Le Mans in 2005 and 2006, and with twelve other 24-hour races shared, Mike and Tommy's is clearly an enduring partnership. “It may not be unique,” admits Thomas Erdos, “but to have stayed together for five consecutive years is something of an achievement. 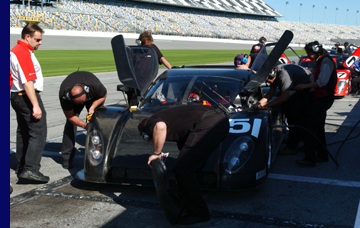 We get on well, we get results, and as it says in the old adage; ‘if it works, don't fix it!’.” This will be their fifth time together at Daytona, and the third year that they have joined Eddie Cheever's Daytona Prototype Grand-Am squad. Aside from Mike Newton and Thomas Erdos, the squad has additional depth in Tom Kimber-Smith. The twenty-three year-old already has a Le Mans victory to his credit, having secured the GT2 title in 2006 with Team LNT, and also extensive sportscar, prototype and single-seater experience. 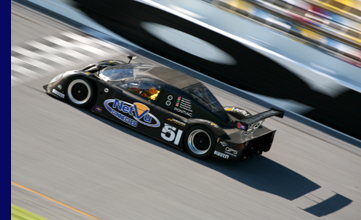 Former AWACS crew-member Brent Sherman has a strong NASCAR pedigree, and is familiar with Daytona’s banked oval, while Scott Mayer first raced in Indy Racing League in 2003 and sees the Rolex 24 Hours as his Grand Am debut ahead of a full season with Cheever Racing in 2008. Practice for the Rolex 24 Hours of Daytona begins on Thursday January 24th, with the race itself starting on Saturday January 26th at 1:30 pm. A high resolution image is available here. www.cheeverracing.com. The site will feature driver interviews, daily trackside reports from Daytona, and regular updates on the Rolex 24 at Daytona.